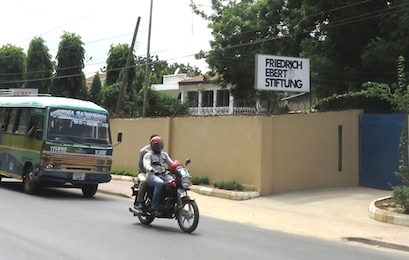 Even though most African countries enshrine principles of freedom of expression in their constitution, the practice often leaves much to be desired. The African Media Barometer (AMB) identifies and analyses the shortcomings and best practices in the legal as well as practical media environment of different African countries. Using a variety of African documents as a benchmark, the AMB can serve as a tool to lobby for media reform. The African Media Barometer (AMB) is an in-depth and comprehensive description and measurement system for national media environments on the African continent. Unlike other press surveys or media indices the AMB is a self-assessment exercise based on home-grown criteria derived from African Protocols and Declarations like the Declaration of Principles on Freedom of Expression in Africa (2002) by the African Commission for Human and Peoples’ Rights (ACHPR). The instrument was jointly developed by fesmedia Africa, the Media Project of the Friedrich-Ebert-Stiftung (FES) in Africa, and the Media Institute of Southern Africa (MISA) in 2004 and by now has been held in 30 African countries, in some of them already for the fourth time. The African Media Barometer is an analytical exercise to measure the media situation in a given country which at the same time serves as a practical lobbying tool for media reform. Its results are presented to the public of the respective country to push for an improvement of the media situation using the AU-Declaration and other African standards as benchmarks. The recommendations of the AMB-reports are then integrated into the work of the 19 country offices of the Friedrich-Ebert-Stiftung (FES) in sub-Sahara Africa and into the advocacy efforts of other local media organisations like the Media Institute of Southern Africa. How does the AMB work? Every two to three years a panel of 10 to 12 local experts, consisting of at least five media practitioners and media expert and five representatives from civil society, meet to assess the media situation in their own country. For one and a half days the panellists discuss the national media environment according to 39 predetermined indicators. The discussion and scoring is moderated by an independent consultant who also edits the country report , written by a trained AMB rapporteur following the AMB Panel discussion. 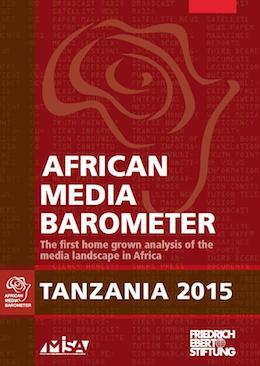 The African Media Barometer Tanzania 2015 is the fifth edition of the AMB in the East African country. Especially political change after the 2015 general elections and the recently passed Cybercrimes Act make might imply turbulent times for the Tanzanian media landscape.